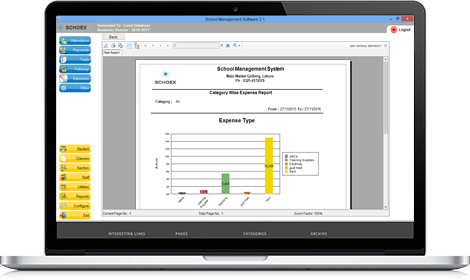 Our school management system provides you with all of the necessary tools for running your school as effectively and efficiently as possible. With Schoex SMS Feature you can easily and quickly send SMS alerts and messages out to help shorten the distances separating students, parents, and teachers. Provide administrators, students, teachers and parents with all of the information that they need on their computers, tablets or smartphones through using the SMS link. Effective communication is critical for any school management software to keep everyone connected. Keep parents informed about their child’s performance or alert parents, students and staff about important information. You can use our SMS software to send student performance reports to parents directly or reminders for fees that need to be paid. It is easier than ever to use our Bulk SMS Feature for SMS alerts. It is even possible to send customized messages out to all students, parents and staff. In today’s technologically advanced society, we help you with keeping up with the ties and providing staff, parents and students with a convenient and easy to use option for reminders and alerts. Our quality school software is integrated with gsm devices so that you can send sms by just connecting you mobile phone. Schoex Communicator doesn’t miss any student from being sending sms. You can define sms template for student outstanding payments, student attendance, student exam report and much more. You can configure the software with online sms apis for sending bulk sms. the software provide complete support for that.